2 Versions - Over 100 Colors! We cannot ship to AK, HI or outside the USA. State Sales Tax for California residents. Because the Palliser Model 43005 Bryn is custom made to order, you get to choose from 8 chair versions and more than 100 leather colors. Standard Shipping is included at No Charge. 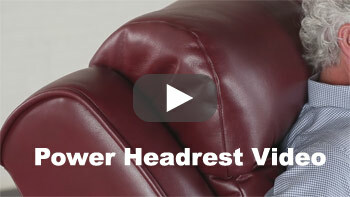 The new Power Headrest feature takes the power reclining option to a whole new dimension. It now allows you to electronically adjust its headrest, giving infinite possible positions. Of course you can still adjust your reclining position but an additional motor, completely independent, now drives the adjustable headrest. It's great for sleeping, and with the adjustable headrest, it's also great for reading or watching TV. No more is there a need for that old throw pillow from the sofa. Simply adjust the headrest to whatever angle fits your physique and allows you to reach a new level of comfort. It's frame is constructed with both hardwood and engineered wood with all joints pinned and glued for uniformity and strength that will last through the years. The seat cushion utilizes High Resiliency Foam with a soft fiber wrap to give the chair a very plush feel. No Sag Spring Suspension in the back and seat contribute to the outstanding construction of this world-class chair. The Banning is an excellent investment in comfort and quality. The right style for you. Power Wall Hugger: Add the convenience of full power recline for effortless movement to your Wall Hugger Recliner. 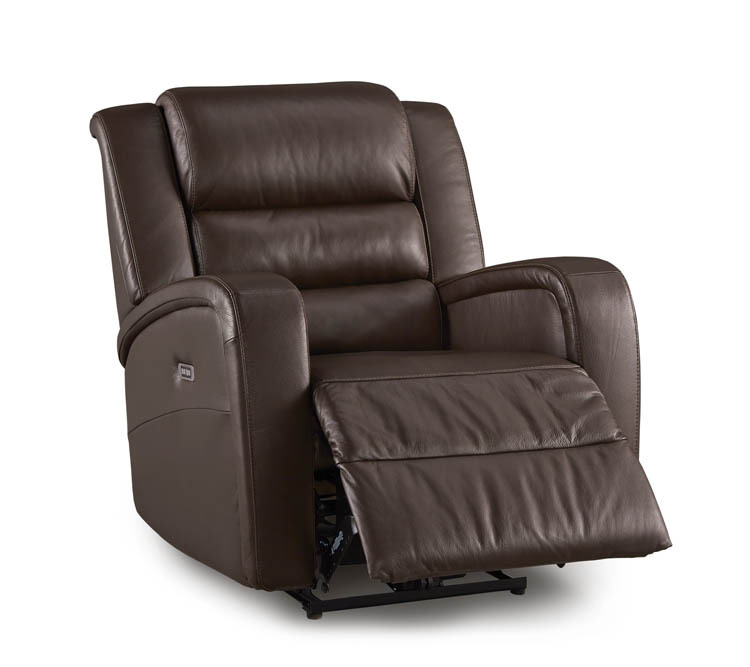 Power Rocker Recliner: Add the convenience of full power recline for effortless movement to your Rocker Recliner. This is your opportunity to purchase a top quality recliner and ottoman to fit your demanding taste for well below the retail price. Not only can we provide unmatched customer service, but also we guarantee we guarantee the best price on any Palliser chair! Our 110% Price Guarantee means that if you find the same chair advertised for less (by an authorized dealer) within 30 days of purchase, we'll refund the difference plus 10% of the difference. No one knows Palliser leather chairs like we do! All of our customer service representatives actually own Palliser chairs and can answer just about any question you have to help you find the chair that's right for you. No one knows Palliser chairs like we do! Toll Free: 1-877-638-0556 9:00am - 9:00pm Pacific Time. Palliser sofas. 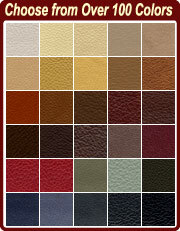 Shading variations, nicks, scratches and wrinkles are a characteristic of leather and are not considered defects. Wood frames, springs or webbing carry a ten (10) year warranty against breakage. Springs or webbing are covered for breakage due to metal fatigue or pulling loose from wood frames. Metal frames are warranted against breakage for a period of two (2) years under normal household use. Reclining chairs, sofabed mechanisms and sofabed mattresses are warranted against material and manufacturing defects. and arms will flatten with prolonged use. This is inherent to the design of fiber-filled and fiber-wrapped products. Regular fluffing will prevent internal fibers from matting and help to prolong the vibrancy of these products. Included: The chairs will ship directly from the factory by truck to our white glove delivery agent in your area. A representative will contact you to arrange for a delivery time. Please note that the delivery agents normally have appointment windows (usually 2-4 hours). White glove delivery includes complete inspection prior to delivery, any required assembly, placement anywhere in your home (1st floor, 2nd floor, or basement), and removal of box(s) and all packing material. Please note that in some remote locations white glove delivery may not be available or may require and additional charge. Not Included: Weekend or holiday deliveries, exact time deliveries, after hours delivery, canceling a delivery within 24 hours of an appointment, storage for extended periods of time, waiting time at time of delivery if no one is at home, movement of furniture that is not part of your order, connecting electronic equipment to wall or floor outlets or other electronic components, movement of shipment in excess of one level, above or below the buildings entry point or more than 1 floor in elevators. Any other services not included in assembly, placement and removal of boxes. Please contact us toll free for an additional fees quote if you need any of these special services. For complete shipping details, see our shipping & returns page. Copyright Notice: All images and copy on this page are original copyrighted works of Discount Leather Chairs, Inc. Unauthorized use of any of these works in whole or in part will result in legal action and a "Take Down Notice" (under the Digital Millennium Act) will be filed with the Internet Service Provider of any site in violation of these copyrights.